Kukui nut oil aka candlenut oil isn’t a very popular oil when it comes to hair care. 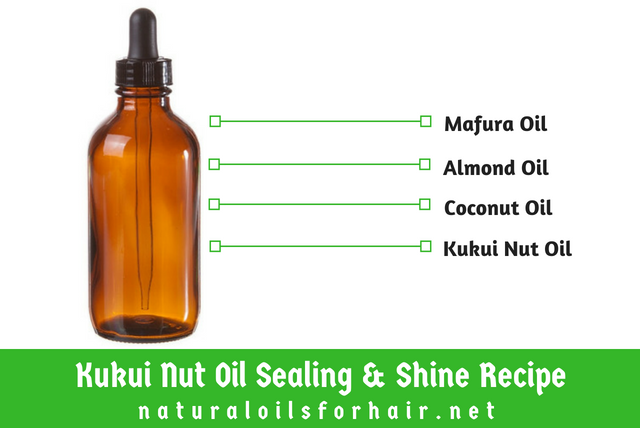 However, kukui nut oil is excellent for conditioning and moisturizing the hair. The kukui nut tree is the official tree of Hawaii. The candlenuts and the oil have been used for thousands of years for a variety of beauty and household purposes. Kukui nut oil is extracted from the nut of the Aleurites moluccana. The tree is also referred to as the candlenut tree. Traditionally, Hawaiians used the nuts as candles which is where the alternative name, candlenut, comes from. On the islands of Tonga, locals still grind the ripe nuts into a paste and use it as a shampoo for hair or as soap for the skin. Kukui means ‘enlightenment’ in Hawaiian. Kukui nut oil is light yellow and has a shelf life of 12 – 18 months. Kukui nut oil contains the essential fatty acids linoleic and linolenic. What is Kukui Nut Oil Good For? 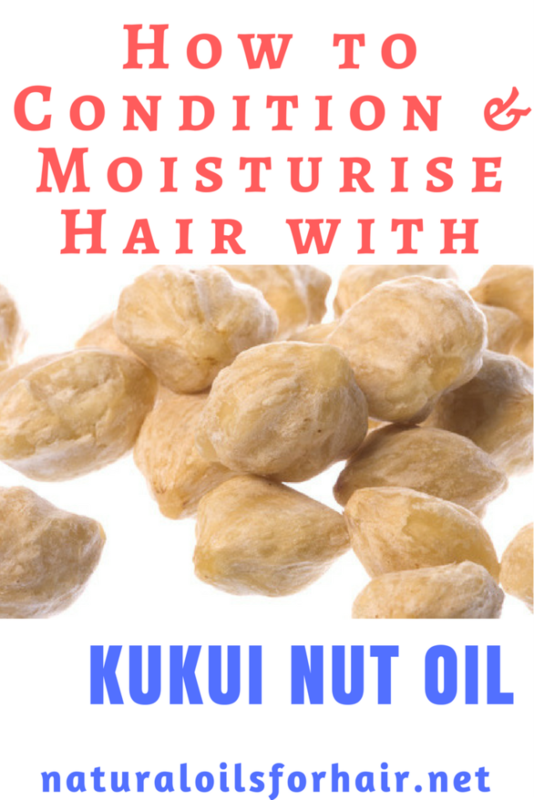 Kukui nut oil has great conditioning properties and the amino acids and essential fatty acids present in it leave hair looking soft and moisturized. Kukui nut oil can also be added to formulations for body care and beauty. Lupita N’yongo, one of my favorite actresses of all time and the star of movies such as Black Panther and Star Wars mentioned in Glamour that one of her beauty oils is kukui nut oil. If you’ve seen her glowing skin, no more needs to be said. How is Kukui Nut Oil Made? The short video below shows a quick depiction of how kukui nut oil is produced in Hawaii. 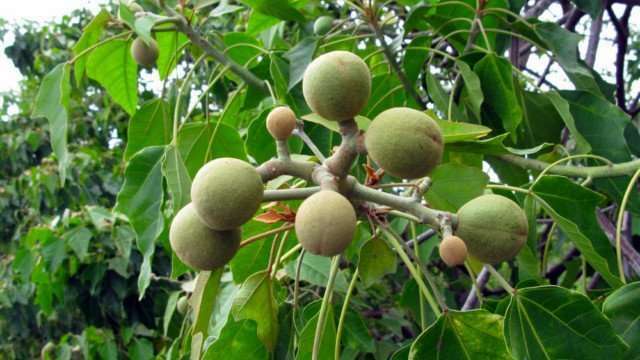 What Are the Benefits of Kukui Nut Oil? Due to its linoleic and linolenic content, kukui nut oil is a natural moisturizer. It also contains antioxidants vitamins A, C, and E, which promote softness and health. 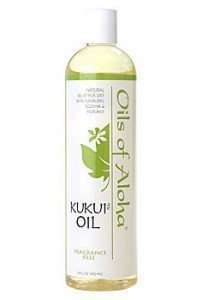 Kukui nut oil properties help relieve scalp conditions such as eczema, psoriasis, and dryness. Kukui nut oil was used centuries ago to help soothe and rejuvenate skin damaged by environmental factors. Kukui nut oil is a highly non-comedogenic natural oil. It won’t clog the skin when applied lightly. It’s suitable for use on oily scalps. Mix 5 tablespoons of kukui nut oil with 5 – 10 drops of Helichrysum essential oil and/or German chamomile essential oil. Apply to scalp and massage in thoroughly. Leave in overnight and wash out the next day. In addition to dryness, this treatment oil can also help reduce inflammation caused by scratching the scalp. Mix 5 tablespoons of kukui nut oil with 5 – 10 drops of lavender essential oil or lemongrass essential oil. Pour kukui nut oil about halfway up the bottle. Add equal parts of coconut oil, sweet almond oil, and mafura oil until the bottle is full (see graphic below). Add in the vitamin E oil. Close and shake. Apply to the length of your hair for sheen and sealing in moisture after styling your hair. Kukui nut oil should not be exposed to excessive amounts of heat as that compromises its effectiveness. Kukui nut oil is a stable oil that has a shelf life of 12 – 18 months if properly preserved and kept away from sources of contamination. Kukui nut oil can also be used to elongate the shelf life of your DIY formulations. Where to Buy Kukui Nut Oil?